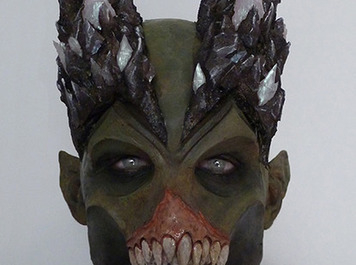 Sculpted, molded, applied and paint custom gelatin prosthetics. Sculpted horns out of foam. Teeth were sculpted and cast in clear resin.